Rising US-China tensions and growing concerns about the export of high-tech goods are prompting both the US and China to change how they regulate the export of many kinds of products. More than ever, multinationals face increasing challenges clearing bureaucratic and political hurdles bringing their goods to market. To help companies navigate this increasingly challenging environment, the US-China Business Council held an afternoon briefing on Monday, July 23 with Eric Carlson. Mr. Carlson is a partner at USCBC member law firm Covington & Burling, and is a leading authority on China-related export controls and FCPA-related concerns. Mr. Carlson is fluent in Mandarin Chinese and Cantonese, and represents clients across a range of industries. 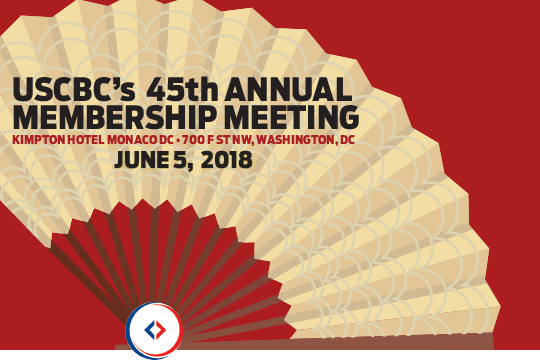 On July 12, USCBC hosted a members-only discussion with Deputy Assistant Secretary of Commerce for China and Mongolia Alan Turley. Mr. Turley discussed the state of the Section 301 case and the resulting tariffs and investment restrictions, along with ongoing discussions between the United States and China. With tariffs on billions of dollars of Chinese exports coming into effect on July 6 and tariffs on $200 billion dollars of Chinese exports on the horizon, businesses are looking for ways to mitigate the impact of government action on their supply chains. To help companies navigate the looming threats, the US-China Business Council held an afternoon briefing with USCBC member KPMG on Tuesday, July 3. The event featured presentations from KPMG China's Head of Procurement Advisory Michael Seitz and Head of Tax Anthony Chau. The presentation was followed by Q&A and a discussion with USCBC members. On Monday, July 2, USCBC led a discussion on expected announcements by the Trump administration regarding restrictions on investment resulting from the Section 301 investigation into Chinese intellectual property and technology transfer issues. USCBC hosted an Agriculture Industry Roundtable on June 28, 2018, to discuss how China’s retaliatory tariffs on agricultural products affect these businesses. In response to US tariffs on $34 billion in Chinese goods that will go into effect on July 6, China has announced tariffs on $34 billion in US goods, including agricultural products like soybeans, beef, pork, fruit, nuts, seafood, and tobacco. Some of these products, including pork, fruit, and nuts, were already subject to additional tariffs by China in April, meaning that these new tariffs would further increase the duties on them. We look forward to having an active discussion on the impact of these tariffs and how to respond. The US-China Business Council hosted a Government Affairs Roundtable to discuss Section 301 tariffs and updates to investment restrictions. This event was led by USCBC Senior Vice President Erin Ennis, and included a discussion on FIRRMA/investment restrictions with Matthew West, Partner, Baker Botts. This interactive forum provided the opportunity to hear about the most significant healthcare concerns to the industry. These included cybersecurity risks due to digitalization. The conference also analyzed how innovation is driving the transformation of business and operating models, as well as the delivery of products and patient care. A panel of industry experts and healthcare practitioners from Baker McKenzie shared insights and commercial solutions that can help navigate the growing complexities. 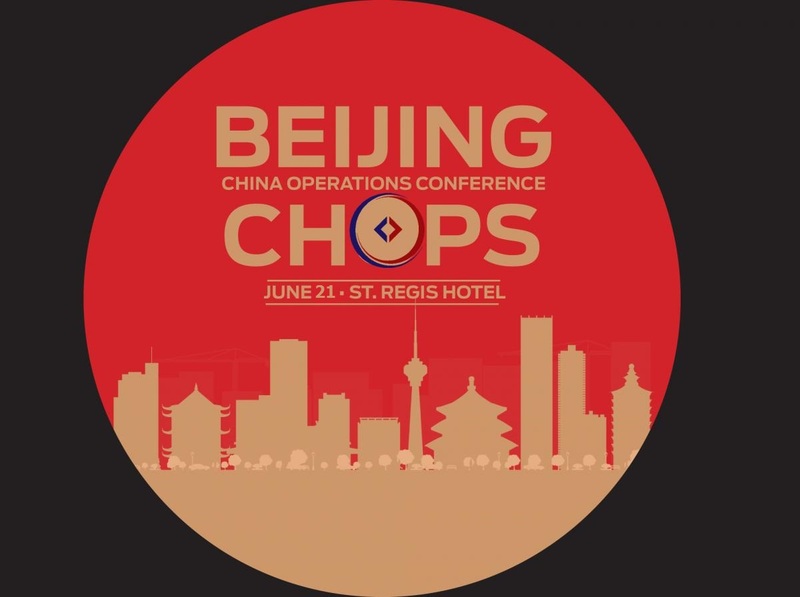 The US-China Business Council (USCBC) was pleased to hold a breakfast briefing on Thursday, May 31 with USCBC member Faegre Baker Daniels’ Partner Kevin L. Jones who spoke about dealing with situations arising from serious employee misconduct. Mr. Jones has worked closely with companies to address situations where employees set up competing businesses, embezzle money, contravene China’s anti-bribery laws or otherwise create serious challenges to a company’s ongoing operations. He talked about the challenges for employers to get the right evidence and successfully negotiate employees out of an organization. Kevin Jones has been based in Greater China for more than 20 years and leads the firm’s labor and employment practice in China. Kevin and his team of dedicated employment lawyers advise clients on all aspects of contentious and non-contentious employment matters. He has a particular focus on staffing issues arising from acquisitions and other re-organisations, strategic employment counseling, resolving labor disputes, advising on anti-corruption compliance, investigating employees for misconduct or FCPA/anti-bribery violations, employee hiring and termination, immigration, mass layoffs and labor unrest, establishment and enforcement of company polices, advising on labor union issues, and drafting and negotiating collective contracts.